it's all getting a bit unruly inside my A500, and I didn't think i'll ever get the lid back on, or even the keyboard back in its place. I saw someone use dupont wires to relocate their vampire to the 5.25" drive bay in their A2000, so wondered if I could do the same to move the vampire back and lifted over my minimegachip 2meg chip expansion. 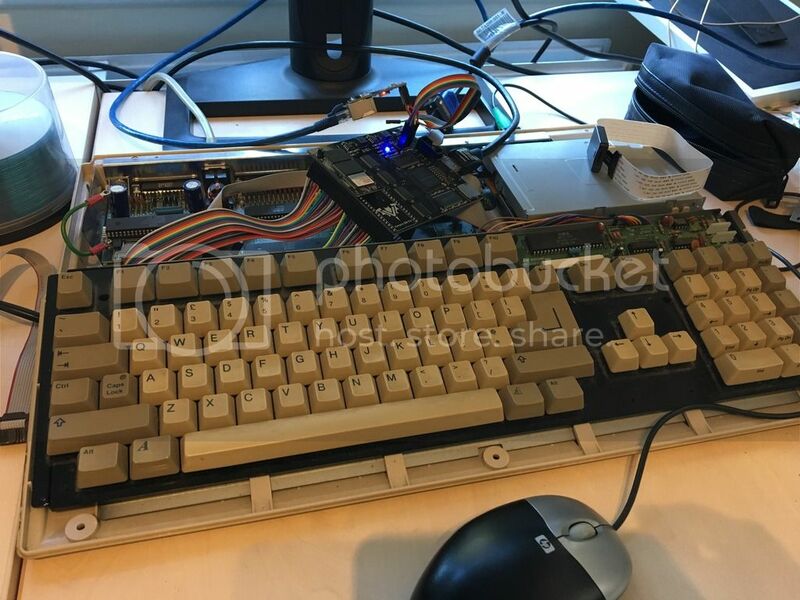 well, I have now done the same, and using the dupont wires, I have been able to remove the riser of the 68k socket, move the vampire, and put the keyboard back with some "adjustment" of the pins going into the cpu socket - but the vampire is lifted clear of where the case lid would be. also i'm not happy with the actual size of the connectors. they are not an exact match for the 68k socket spacing leading to undue stress on the end pins. 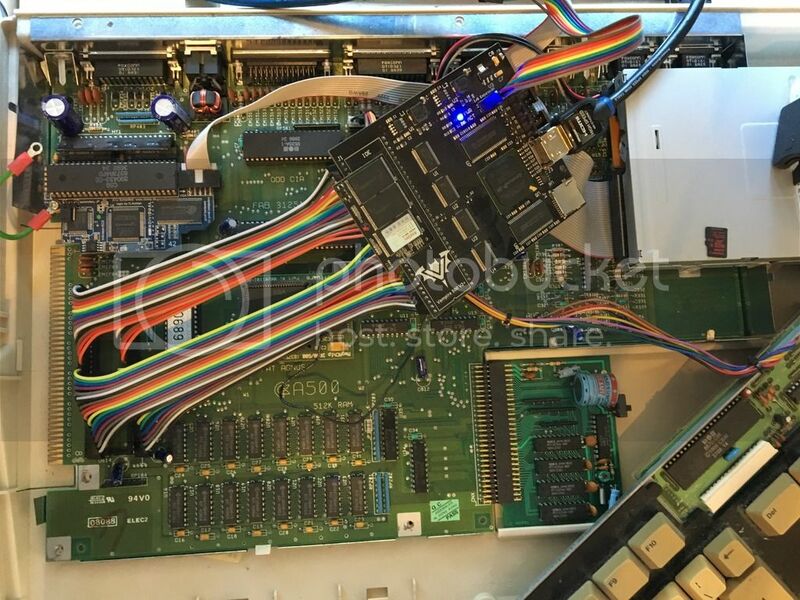 has anyone seen a cpu socket adapter that can take into account a 2meg agnus upgrade, and an indievisionECS, and place an accelerator over the back middle part of the A500 mainboard? When core3 comes out you can sell that mega chip and indie ECS you won't need them anymore ..
and i'm sure it will happen, But Gold2.x ticks a lot of my boxes *right now*. Floppy(even for the disk seek chugs)/serial/parallel/keyboard/case.